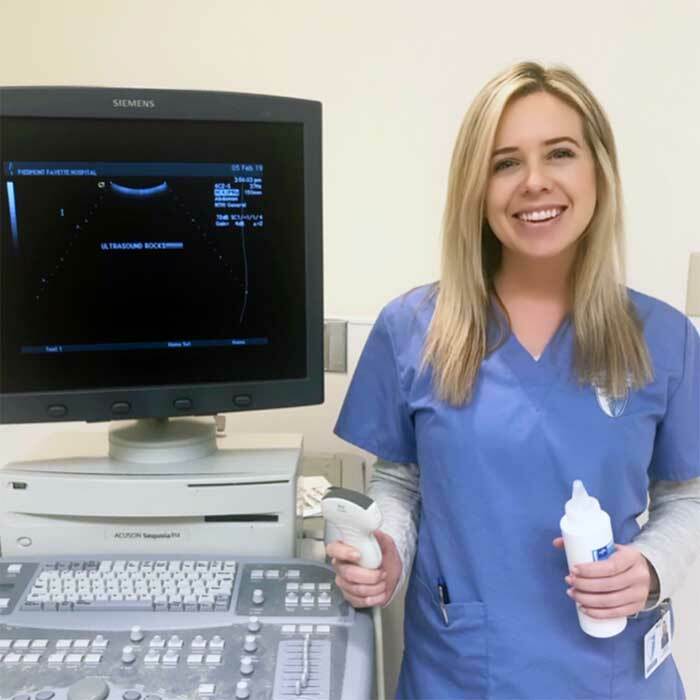 I am currently enrolled in the Diagnostic Medical Sonography program in Atlanta, GA. After graduating from Florida State University I went into the sales world and realized I needed a change. I wanted to get into a career that was challenging and could experience something different/new every day. Cambridge has helped me find that career in their DMS program. Working with skilled sonographers at Piedmont Fayetteville Hospital has been an amazing experience. They are knowledgeable, helpful and personable. Being hands on at Piedmont has been the best experience I could have imaged. I am hands on scanning real patients with real issues. I have learned so much and truly look forward to going to clinical and being surrounded by people who are sharing their love for sonography! I look forward to my career at a sonographer. It’s never too late to find a career that you’re passionate about!